Not really what I was expecting from Samsung. I was hoping for more update about the Samsung Louve but it seems that Samsung is content on just "reloading" the Omnia. The Purple Omnia will complement the already existing black and white versions. 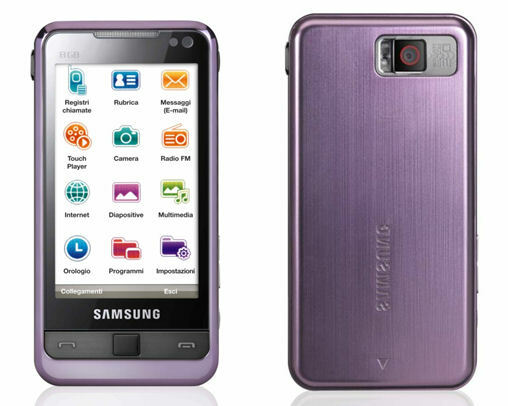 There's nothing really new with the Samsung Omnia Purple, but word has it that it has some new widgets. Now that got me interested. New widgets means that a firmware upgrade for older versions of the Omnia is not so far in the horizon. New firmware updates mean new widgets and hopefully, more useability for the touchwiz UI. Another new thing about the Samsung Omnia Purple version is that the TV out cable now comes in the package. So if you still didn't get your Omnia yet, now's the time to have one: better color(??? ), new widgets, and better package options.